Think Kansas and wicked witches, yellow-brick roads and ruby slippers may spring to mind. But as well as being the setting for The Wizard of Oz, this Midwest gem packs in Wild West history, delicious produce and a flourishing arts scene. Kansas is an agricultural powerhouse, with vast areas of land given to grain, beef cattle and buffalo. You can experience a taste (literally) of the state’s agricultural pedigree by slurping juicy peaches, tucking into farm-to-fork dinners or testing your cowboy skills on a dude ranch. Scenic byways lead through a surprising diversity of landscapes: the last remaining tallgrass prairies, wetlands teeming with birdlife, and mushroom-shaped hoodoos. Snooze and you’ll miss Kansas on Route 66, though – the state is home to just 21km (13 miles) of the legendary highway. It was through Kansas that families on the Oregon and Santa Fe trails drove their wagons west in search of new homesteads, while cowboys on the Chisholm Trail drove herds of longhorns north in search of the railroads. Cow towns like Abilene and Dodge City were born, and as whites forced Native Americans westwards, fierce battles over land erupted. Later, feuds over Kansas’ maintenance of slavery gave rise to the term ‘Bleeding Kansas’. Forts, trails and monuments scattered across the state bring this history to life. Craving some culture? Then head to Topeka, the state capital. 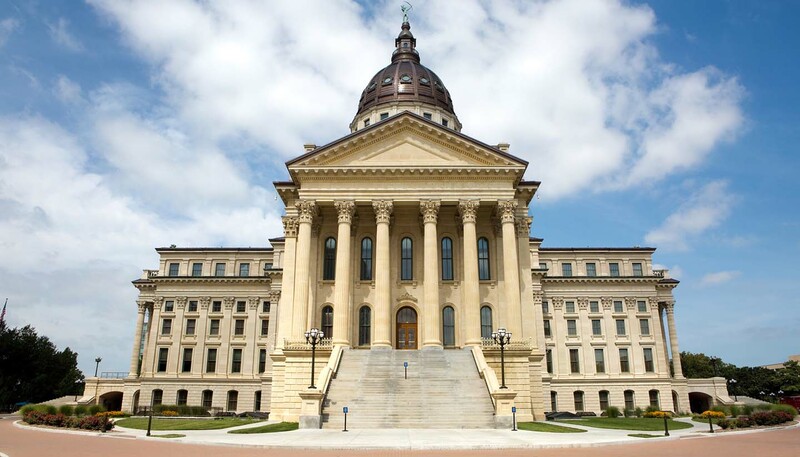 Home to the iconic Kansas Statehouse, this gleaming copper-domed capitol offers regular tours, taking visitors up 296 steps to a balcony where phenomenal views await. But the hottest ticket in town is the North Topeka Arts District, where historic buildings have found new life as art studios, galleries and antique stores. Sadly, though, there are no yellow-brick roads. 213,094 sq km (82,276 sq miles).